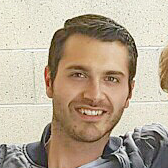 Jason G joined Wonolo in September 2017. Jason G has completed 2 jobs on Wonolo. Jason G is a new Wonoloer, having completed 1 Delivery job and 1 Sales job. Jason G has earned a Gold Warehouse badge, a Gold Events badge, a Drug Screened badge, a GMP badge, a Saddle Creek Logistics badge, an UNIQLO badge, a LSG Sky Chefs Onboarding Badge badge, a 10 Panel Drug Screened Badge badge, and a Military badge. Jason G has been chosen as a Preferred Wonoloer 8 times. Jason G has an overall rating of 3.7. Jason G lives in San Francisco. Military affiliated Wonoloers, to include servicemembers (both foreign and domestic), dependents, ROTC and Officer commissioning programs.